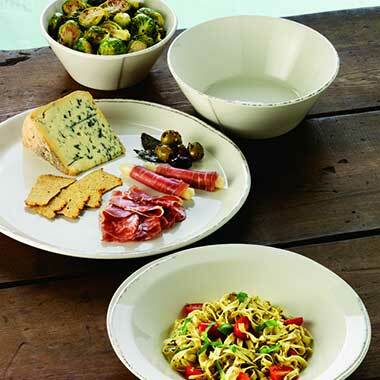 World Tableware's Farmhouse Dinnerware captures the essence and charm of the farm-to-table and craft food movement through its organic style and shape. World Tableware's Farmhouse pattern combines a porcelain body with a beautiful cream white color resulting in modern performance with the feeling of old-world craftsmanship. Each piece features an unleaded, rock-hard glaze to reduce scratching and is fully vitrified to prevent moisture and odor adsorption. Covered by World's 5 Year No Chip Warranty!